When Rap was younger, it was easier for me to give him Vitamin C because it was part of his before bedtime routine. Now, I honestly don't know if he regularly takes his Vitamin C. Sometimes he admits that he forgets to do so. You know how big boys are, they're always preoccupied with other more interesting things. 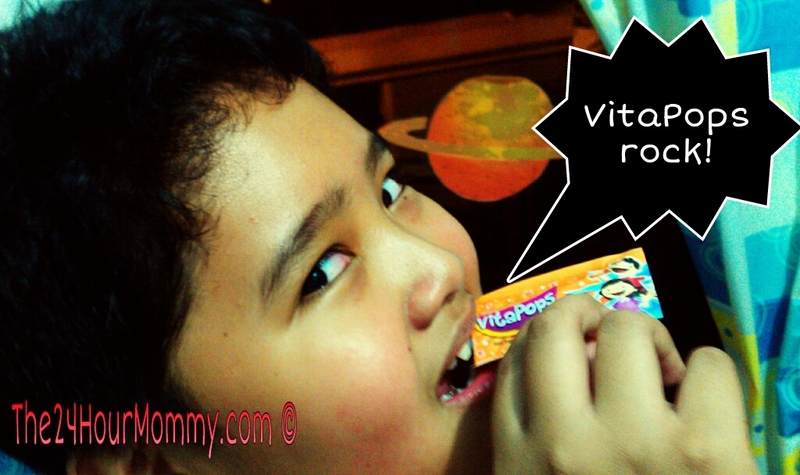 That's why Unilab, the makers of Ceelin, launched the first and only pop rocks Vitamin C in the country - VitaPops! Has your kid ever eaten that lollipop with granules that pop? There was a time that it became Rap's favorite ubong. Even I had a blast feeling the rock granules popping inside my mouth, haha! VitaPops is just like that. It's the Vitamin C that rocks! Each sachet of VitaPops contains 50mg of Vitamin C in the form Sodium Ascorbate so it's non-acidic and can be consumed on an empty stomach. And even though it's made to appear like candy, it only contains 1/5 the amount of sugar found in regular Vitamin C.
As you can see, my boy loves it! Being in a sachet also makes it convenient for him to bring to school so he can take one sachet as dessert after lunch and another one after dinner. I love it too because it's only Php 10 per sachet! 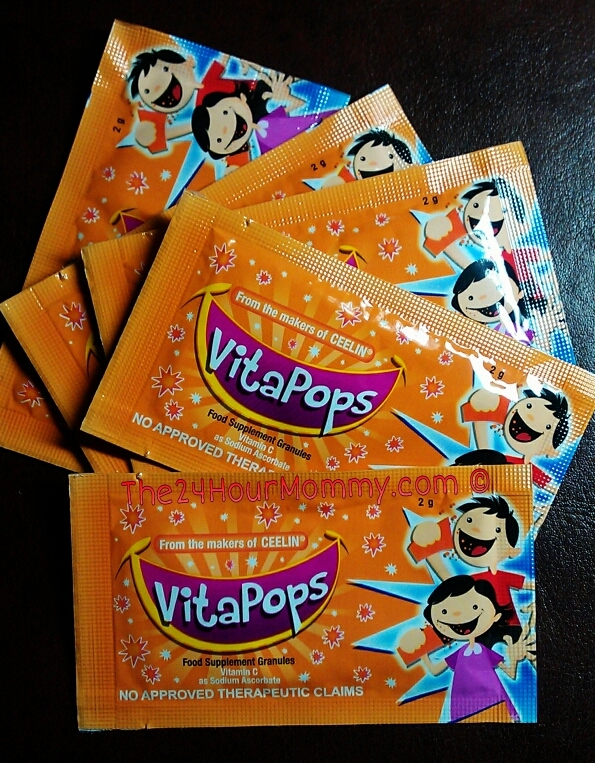 VitaPops is now available in all leading drugstores nationwide. It can be taken by kids 7-12 years old, once or twice a day, or as directed by your pediatrician. Kindly consult a doctor especially if your child is on a sodium restricted diet. Nice, Mauie! Pang-baon talaga, no? Even if I'm an adult na, I bought na din para may baon ako. :D Hahaha! Thanks so much for sharing this!